Liverpool captain Jordan Henderson made a special presentation for the Poppy Appeal at Melwood, to help raise funds for the Royal British Legion. The Reds midfielder handed over the signed poppy shirts that the team proudly wore during their Premier League clash with Watford at Anfield on November 6. Lance Corporal Chris Murphy, Able Seaman Barry Jones and Chief Petty Officer Tony McTigue received the special jerseys alongside Bill Martin, Royal British Legion Membership Support Officer for Merseyside and West Lancashire. All of the shirts are now available to bid for on eBay, with all funds raised set to provide essential care and support to serving members of the Armed Forces, veterans of all ages and their families. 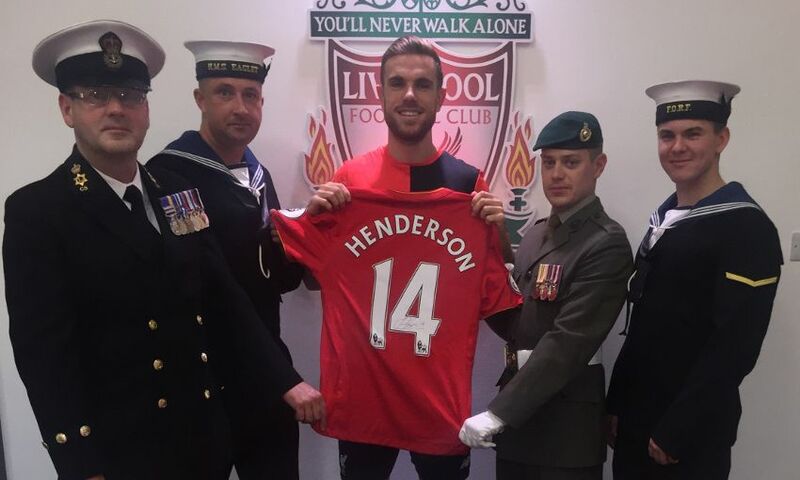 Henderson said: “It was an honour for the team and I to wear the poppy shirts to show our respect and thanks to the Armed Forces for their dedication and work serving their country. Martin said: “On behalf of the Royal British Legion, I would like to thank Liverpool Football Club for their continued support of the Poppy Appeal. “Raising funds to help support our work with serving members of the Armed Forces and ex-personnel across the Merseyside region is vital and we are grateful for the backing we have received from the club. 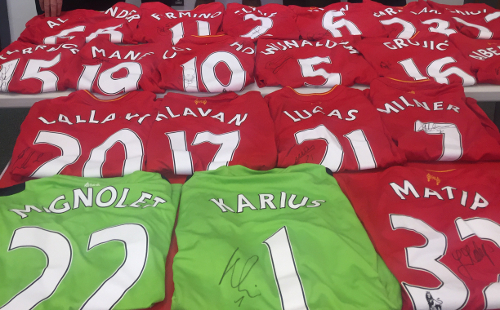 To bid on the LFC signed poppy jerseys on eBay, please click here.